Six new courses, ranging from the impact of African music on politics to the interdisciplinary applications of virtual reality to big data methods for smart city development, are among the second set of University Courses to be offered at Vanderbilt University. University Courses promote new and creative trans-institutional teaching and learning and meet degree requirements across undergraduate majors and many professional and graduate programs. All the courses tackle important cross-disciplinary topics that advance the educational mission of the university. Two of the new courses are Multicultural University Courses, which are designed specifically to advance the university’s initiatives in equity, diversity and inclusion. Design Thinking, Design Doing, taught by David Owens of the Owen Graduate School of Management and Rogers Hall of Peabody College of education and human development, will serve as an introduction to the theories and practices of design. The “design thinking” elements of the course will offer a critical understanding of methods for researching interactions between humans and the social and built environment, while the “design doing” elements will provide instruction in how to develop purposeful interventions that result in more meaningful and effective interactions. Design will be practiced using a human-centered process with an emphasis on participation in team-based design projects in the areas of education, business and health. The course will be one of the components in DIVE (Design as an Immersive Vanderbilt Experience), which will serve as Vanderbilt’s new Quality Enhancement Plan (QEP), part of the university’s reaccreditation process. Rhythm of Change: African Music and African Politics, taught by Keith Weghorst of the Department of Political Science in the College of Arts and Science and Gregory Melchor-Barz of the Blair School of Music, will examine the role of music as a marker and agent of political change in Africa. The course will focus on the role of music in African politics across four substantive themes: political and electoral completion in democracies and dictatorships; political conflict, violence and conflict transformation; identity building and nationalism; and Western/global cultural and political influence. Virtual Reality for Interdisciplinary Applications, taught by Robert Bodenheimer of the School of Engineering and Ole Molvig of the Department of History in Arts and Science and the Vanderbilt Institute for Digital Learning, will serve as an interdisciplinary, project-based introduction to Virtual Reality (VR), with computer science students joining with students from across the university for an overview of the VR field and substantive training in the appropriate tools. Faculty mentors drawn from diverse disciplines will guide student teams in creating real-world, consequential immersive VR simulations relevant to, and innovative in, their respective fields. The History and Science of Brewing, taught by Bruce Carter of the Department of Basic Sciences in the School of Medicine and John Janusek of the Department of Anthropology in Arts and Science, is designed to provide students with a historical, cultural and religious perspective on the use and abuse of alcohol, as well as an understanding of the neuroscience of reward and addiction and the biochemical process involved in brewing and consuming beer. Students will learn about the practices of other religions, particularly how fermented products play into their spiritual rituals and customs, as well as the environmental impacts of brewing both globally and historically. Race, Place and Power, taught by Marzia Milazzo of the Department of English in Arts and Science, will examine the crucial entanglement between race and place from an interdisciplinary and transnational perspective. Paying attention to three different national contexts—the United States, Brazil and South Africa—the course will investigate the politics of spatial segregation and consider the global dimensions of racialized injustice and decolonial resistance. It will ask how and why what appear to be vastly different racial regimes and socio-political contexts produce strikingly similar dominant ideologies and socio-economic outcomes. Students also will interrogate the spatial and racial politics of Nashville. Data Science Methods for Smart City Applications, taught by Gautam Biswas and Abhishek Dubey of the School of Engineering, Claire Smrekar of Peabody College, and Mark Ellingham of the Department of Mathematics in Arts and Science, will apply concepts and methodologies from systems engineering, data sciences and machine learning, modeling and simulation, optimization, and social sciences research to address pressing social policy issues affecting U.S. cities and major metropolitan areas. The course will provide immersive field research experiences and cross-disciplinary learning activities for undergraduate and graduate students in a project team format. Rhythm of Change and Race, Place and Power are Multicultural University Courses, which seek to address topics tied to diversity, equity and inclusion; race and ethnicity; identity literacy; and/or cultural competency within an interdisciplinary setting. Associate Provost for Strategic Initiatives and Partnerships Ifeoma Nwankwo chaired the sub-committee that evaluated the Multicultural University Courses proposals. “This dimension of the University Courses initiative advances two of the core principles delineated in the Academic Strategic Plan—‘investing in multi- and interdisciplinary programs to lead in defining and addressing important problems facing society,’ and ‘offering students a rich and diverse intellectual community that educates the whole person and cultivates lifelong learning,’” Nwankwo said. The University Courses initiative serves as an incubator for the curriculum, creating innovative trans-institutional learning opportunities at Vanderbilt now and for years to come. 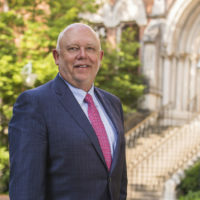 The initiative is a key part of Vanderbilt’s educational landscape, giving faculty and students further opportunities to expand and advance Vanderbilt’s educational mission. Those interested in learning best practices on crafting University Courses proposals and syllabi are invited to attend a workshop luncheon from 11:30 a.m. to 1:30 p.m. Thursday, March 30, in Alumni Hall, Room 202. Registration is required and includes a box lunch. For more information about University Courses, visit the Academic Strategic Plan website.